The Alana Down Syndrome Center, will be part of MIT’s Picower Institute for Learning and Memory. 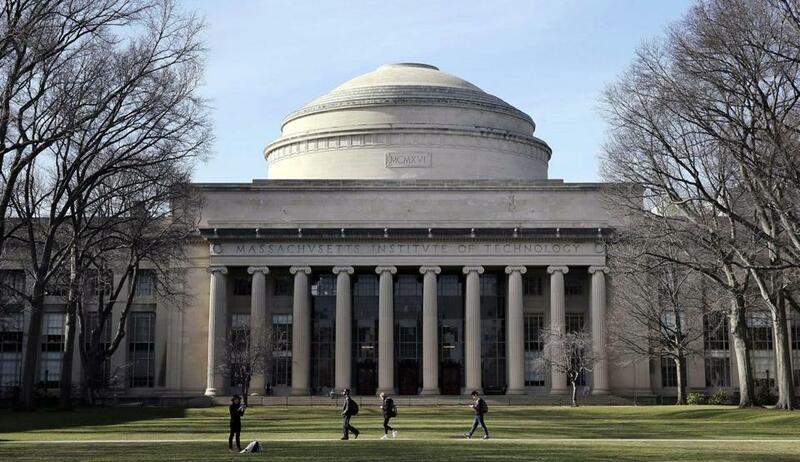 The Massachusetts Institute of Technology announced Wednesday the creation of a $30 million center to study Down syndrome, a major boost for research into a condition that advocates say has long been underfunded. The Alana Down Syndrome Center will bring together biologists, engineers, and students to address the central puzzles of this genetic condition and find ways to improve the quality of life of those who have it. It comes as people with Down are living longer than ever before: The average life expectancy of age 60 is double what it was 25 years ago. The center is made possible with a $28.6 million donation from the Alana Foundation, a nonprofit founded by Ana Lucia Villela and Marcos Nisti, a wealthy Brazilian couple who have a young daughter with Down syndrome. According to the university, this is one of the largest individual gifts ever donated for the study of Down syndrome. “A large group of the population thinks people with Down syndrome are an important part of society and should be included,” said Angelika Amon, a molecular and cell biologist who will serve as the center’s codirector. Down syndrome is the most common form of mild to moderate intellectual disability, affecting about one in 700 babies born in the United States. People with the syndrome have an extra chromosome or portion of a chromosome in some or all of their cells. The MIT center will combine research in biology, engineering, and computer science. It will examine ways to improve cell function in people with the syndrome, and also develop technologies to enhance their social and practical skills. Researchers also plan to analyze genomic data to find ways to predict the severity of symptoms and use 3-D brain mapping to scrutinize the effects of the syndrome on brain cells. “I really want people with different conditions and different ability to feel they are not different, to feel that they belong, and to enhance their capability to interact and to enjoy life,” said Li-Huei Tsai, director of MIT’s Picower Institute for Learning and Memory and codirector of the Alana Down Syndrome Center. Tsai has been studying the effects of flickering lights and repetitive clicks and buzzes on the biochemistry and behavior of mice, yielding possible clues about targeting Alzheimer’s disease. She has evidence it improves learning and memory in mice, and is just starting to test the concept in people. About half the people with Down syndrome develop a form of Alzheimer’s by age 60. The center will study the connection between the two conditions, potentially advancing understanding of Alzheimer’s in other groups of people. Maureen Gallagher, executive director of the Massachusetts Down Syndrome Congress, an advocacy group, said she was excited about the prospect of understanding the relationship between Down and Alzheimer’s. Parents who “worked so hard to make sure their child has the best education possible and to be employed” are troubled to see their children develop dementia in their 40s and 50s. Gallagher also welcomed MIT’s proposed work on new technology to help those with Down syndrome to more easily complete daily tasks and communicate better. “Whether they are at school or working in a job, if they have an augmented way to communicate, they can get across their needs and desires and what they want to add to the world,” she said. Dr. Peter D. Bulova, director of the University of Pittsburgh Adult Down Syndrome Center, welcomed the news of the MIT program, saying that Down syndrome gets “minuscule” financial support when compared with other genetic illnesses such as cystic fibrosis. Only one Down syndrome research center, at the University of Colorado, is comparable to the new MIT center, he said. Because life expectancy increased so quickly, there has been little research in adults with Down syndrome, and little attention to how to improve their quality of life, Bulova said. The Down syndrome research may shed light on conditions that affect the general population, said Amon, the center’s co-director. For example, people with Down syndrome are less susceptible to certain types of cancer, and figuring out why could open doors to new cancer prevention strategies for everyone. To encourage early career scientists and students to get involved in the research, the center will offer postdoctoral and graduate fellowships. The Alana Foundation had donated $1.7 million to MIT for Down syndrome research in 2015. Villela, one of the donors, said she hopes the center’s launch will send a positive message about people with disabilities. Ysabelle Kempe can be reached at ysabelle.kempe@globe.com. Felice J. Freyer can be reached at felice.freyer@globe.com.